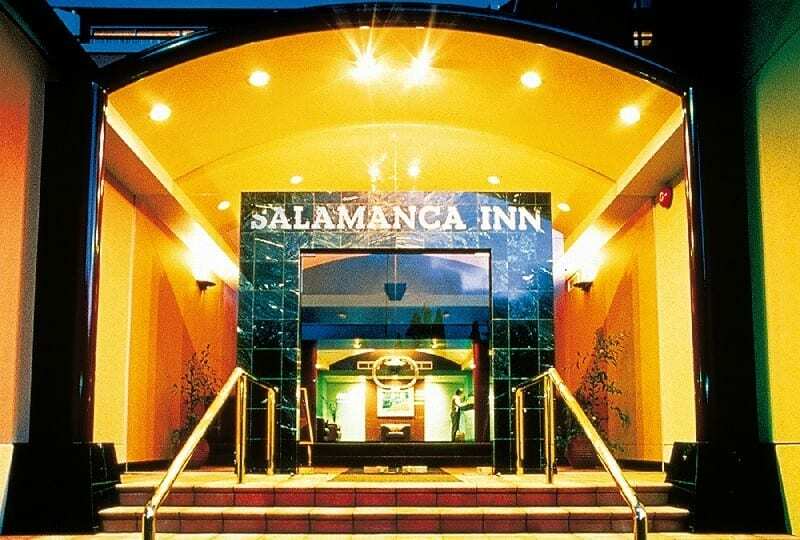 I first stayed at the Salamanca Inn back in March 2013. I really liked it and was keen to stay there again on our road trip around Australia. For accommodation in a capital city, it’s hard to beat. 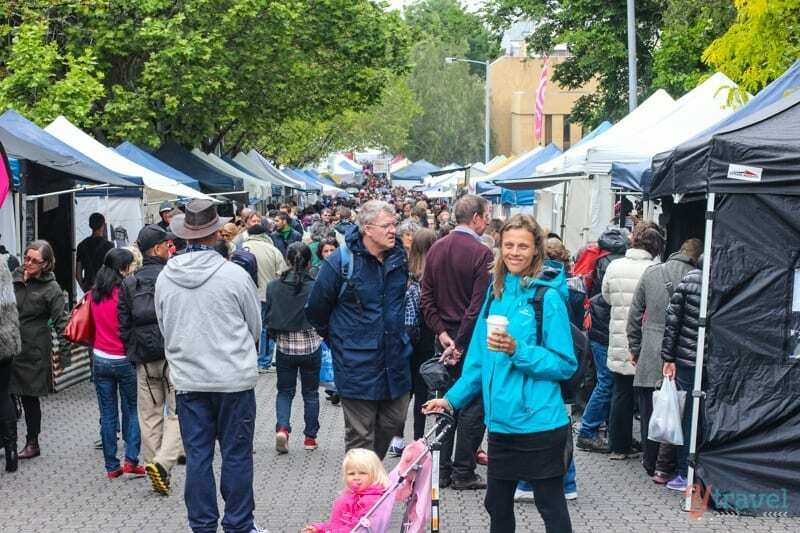 Want to walk to the best things to do in Hobart? tick. Want family friendly? Tick. 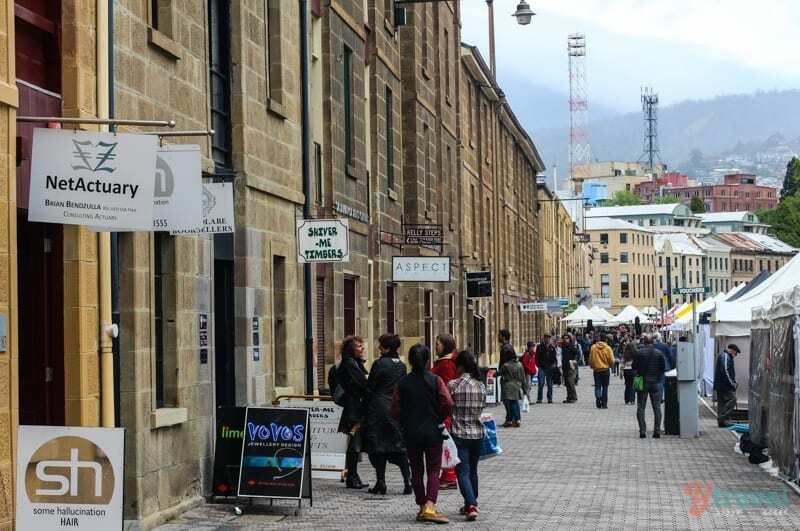 It’s literally a one minute walk to Salamanca Place where the famous Salamanca markets, pubs, restaurants and shopping are. 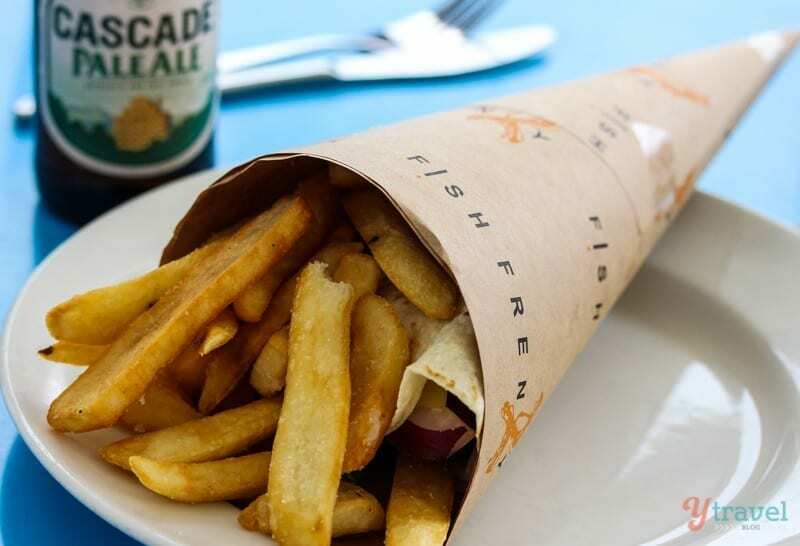 It’s a 5-minute walk to the historic waterfront where you can admire the boats, eat fish & chips (we recommend Fish Frenzy) and catch the ferry to Hobart’s number one attraction, MONA. 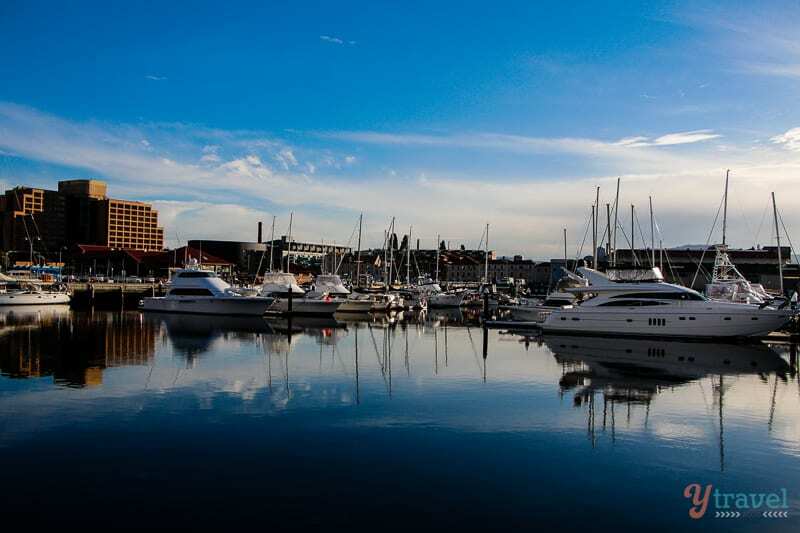 And, it’s a short walk to Historic Battery Point, one of the prettiest inner-city suburbs you’ll find in Australia. 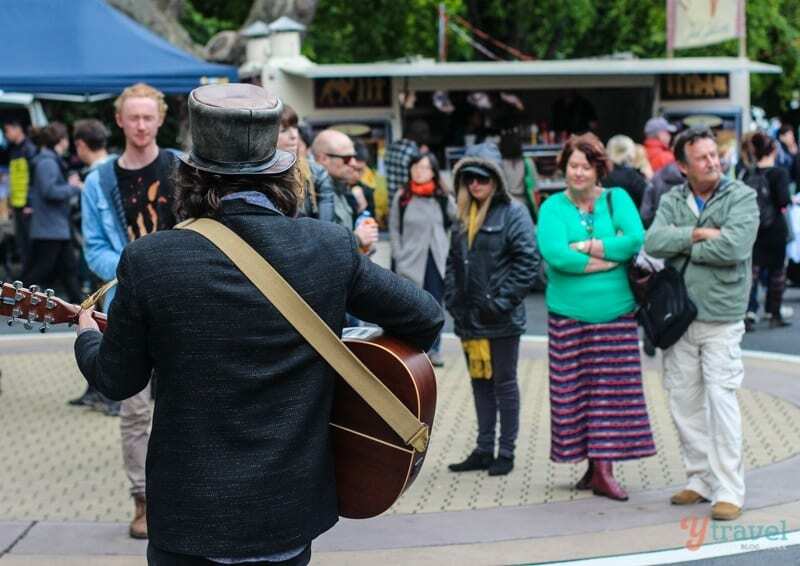 We loved wandering this suburb which also has a great kids playground and some nice cafes. Now that we have kids, it’s rare to just be able to walk out your door and casually stroll somewhere. I can’t tell you how much of a buzz doing this gives me. I nearly beat the door down when it was time to cook dinner and someone had to walk around the corner to buy the supplies from the markets. A small, exquisite taste of freedom. But back to the Salamanca Inn. It’s an all-suite hotel with self-contained apartments. For families, in the city, this rocks. 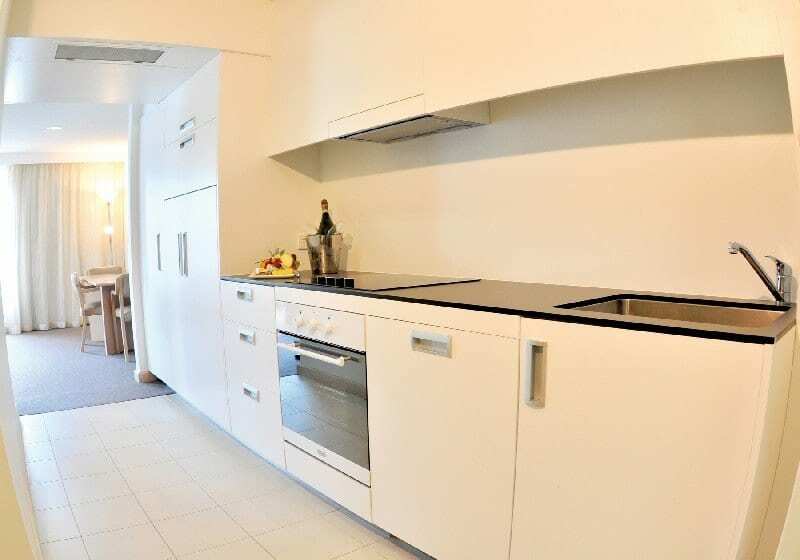 The kitchen area is relatively small, but it’s a city hotel. It worked perfectly fine. Even though the restaurants beckoned us, and we did dine out one night, apartments are a great way to cut down your costs so you can travel more. We stayed in a three bedroom suite, as Craig’s parents were visiting. 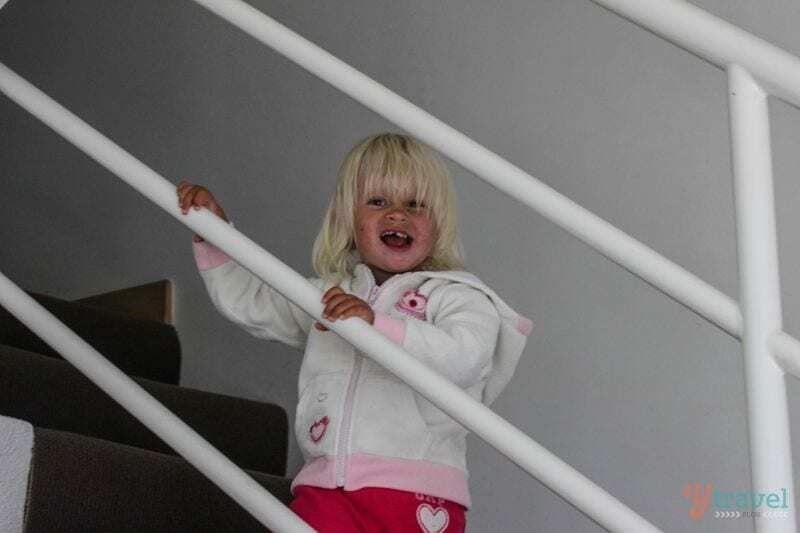 It was spacious, with the main bedroom upstairs, in a kind of loft setting – our kids liked the attic feel of it. And the other two bedrooms were downstairs – the girls loved their bunk beds. Plenty of room for cooking. Love the champers! The Salamanca Inn also has a separate living room and the TV has 5 movie channels that features new releases. 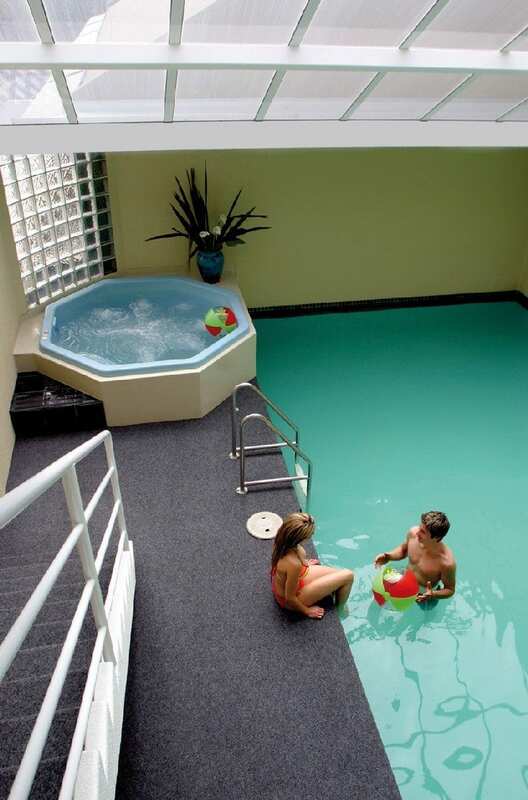 There is a restaurant in the building serving fine Tasmanian produce and an indoor heated swimming pool and spa for those looking for some water action and relaxation. 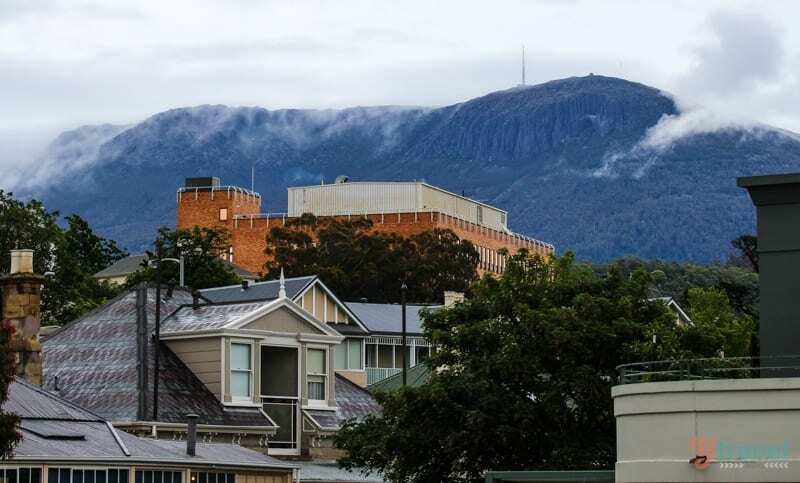 If you are lucky, you might also have lovely views of Mt Wellington like we did from our balcony, and when we moved suites for our final night, views of the gardens of Salamanca Place. I loved watching them set up for the markets in the morning and hearing the buskers before strolling down for a look see ourselves. 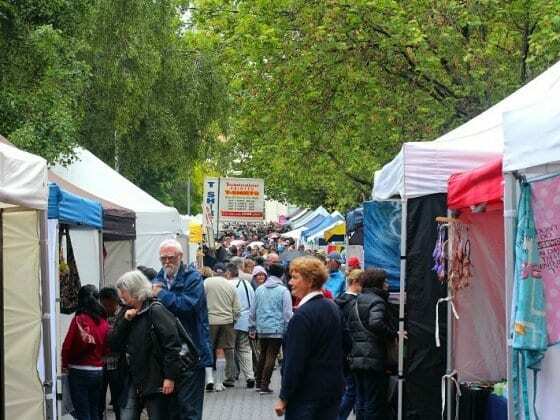 If you can, time your visit so you can explore these markets, yummy street food to be had, as well as good arts and crafts. On one rainy afternoon we made the 50m amble to the Irish pub on the corner with Craig’s dad for a few pints of the black stuff. That’s location right there – you really do have EVERYTHING on your doorstep. 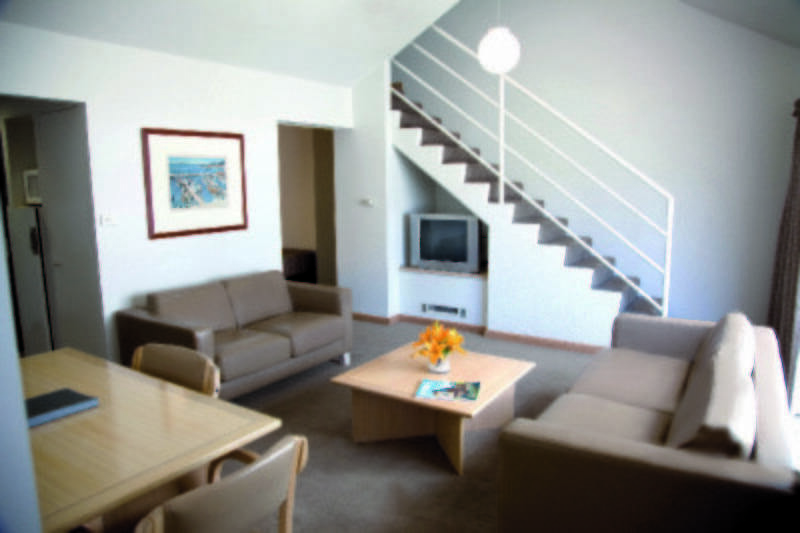 If you’re looking for a mid-range apartment stay in Hobart, then Salamanca Inn is a really worthwhile choice. 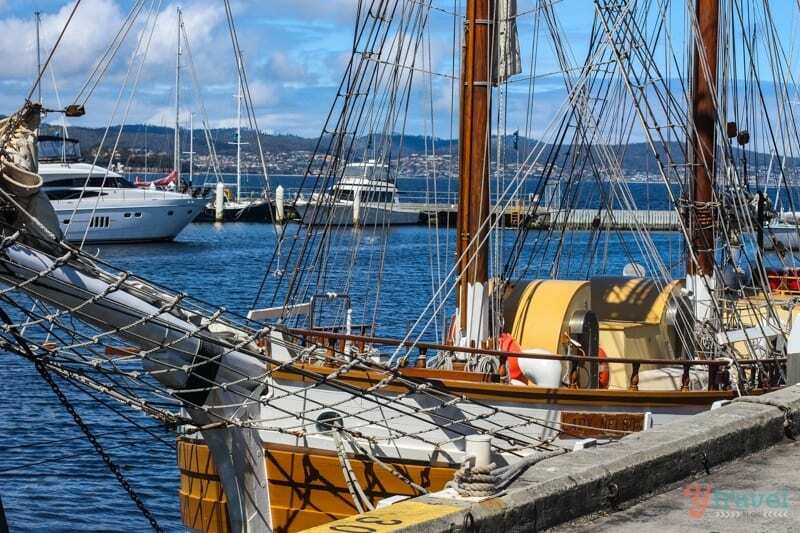 I’ve been hearing so many good things about Hobart from friends and on travel blogs, I really want to go there this year! My gosh, it looks cold though! All the people in the photos are wearing jackets as if it’s the middle of winter. Sounds like you were in the perfect location being able to walk to all those places, or is Hobart just way smaller than I thought? 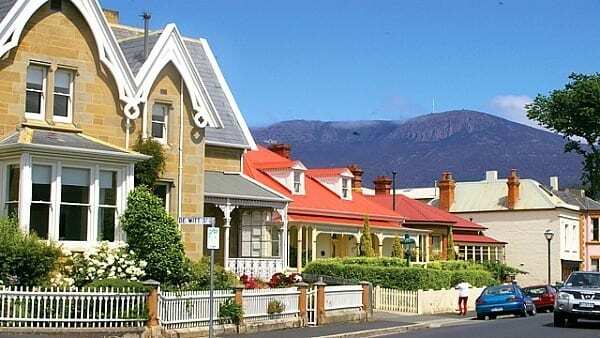 WOW … Hobart is spectacular, Caz … reminds me more of somewhere in Europe or Canada than Australia (that is, what most ppl think of when when they envision Oz). Definitely a great place to stay, especially for kids and family. Nice little bath-tub and pool for kids…looks so cute. 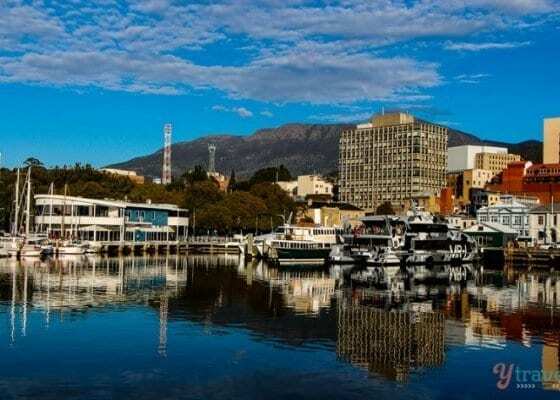 Your photo’s are great, I had no idea Hobart was so pretty 🙂 Bonny is right though, you all look so cold, not much of a summer getaway! Although, my husband would think that was just perfect. Looks like a very family friendly place and super bright and clean. OK I ‘ve been reading thru the blog and it’s absolutely riddled! with disclaimers: We were guests of .. ..but….our opinions….blah blah.. Seriously?. You sell sponsored content as a “unbiased reviews”. *Sigh* – and Bye!